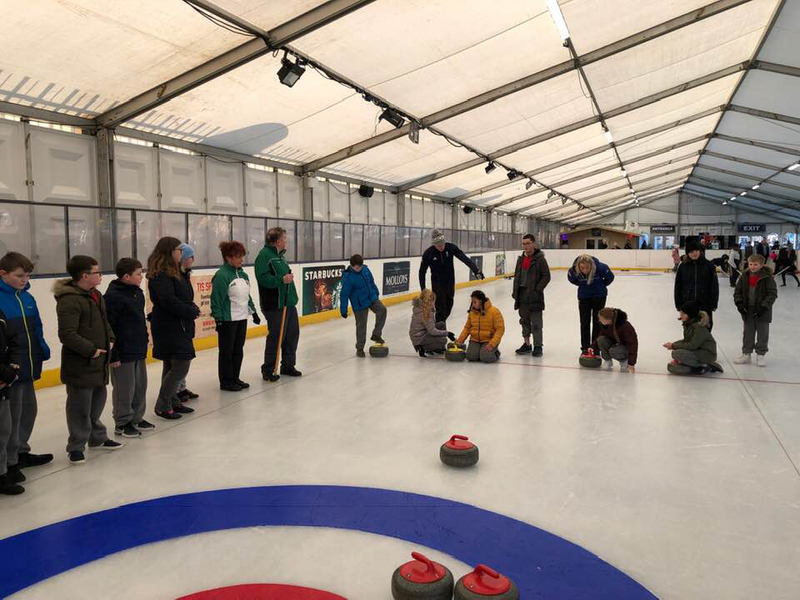 The Irish Curling Association made a huge step forward in its aim to establish a permanent curling facility in Ireland after the opportunity arose to host two days of come and try sessions at a temporary ice rink in Tallaght, Dublin. After receiving funding support from the World Curling Federation, the Dublin project was given ‘Olympic Celebration Tour’ status by the WCF. 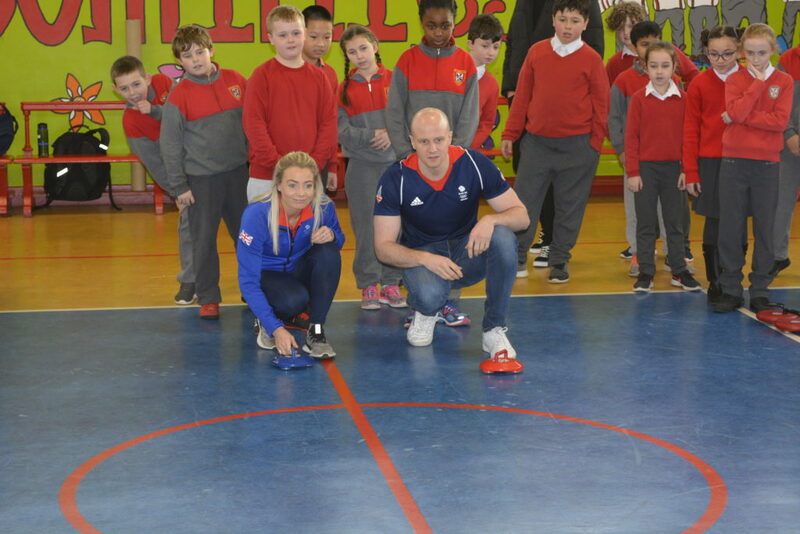 Olympic medallists Anna Sloan and Michael Goodfellow toured schools and helped with the on ice coaching. All part of the WCF’s mission to introduce the sport of curling to new countries and new audiences. An ICA sub-committee of David Whyte, John Burns, Bill Gray, Craig Whyte, Christine Furey and Louise Kerr worked together to get the project off the ground from a starting point of hearing from South Dublin Council that we had the ice for two days in November. 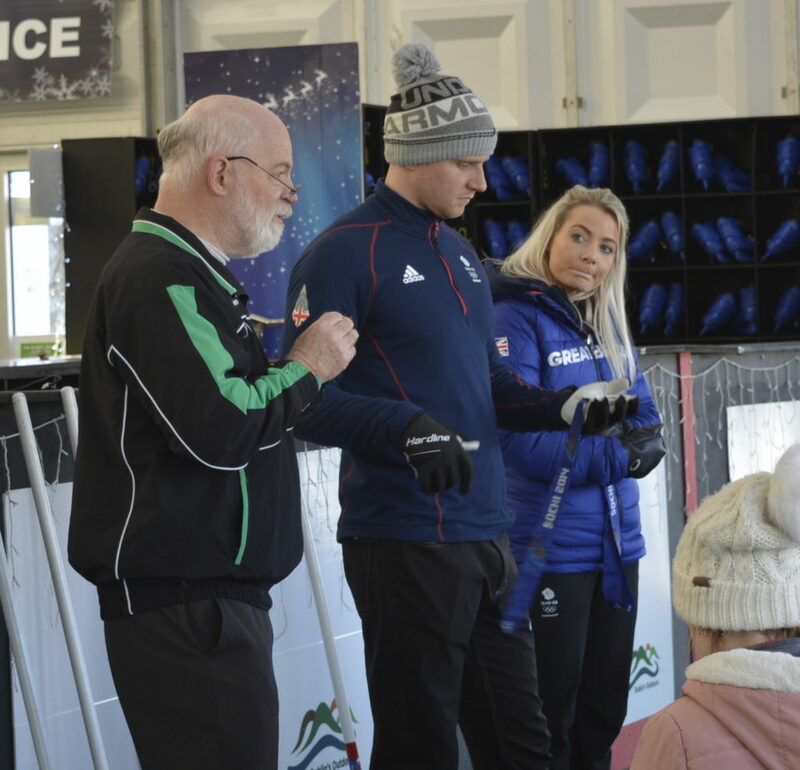 By the end of the Irish adventure, 165 people, including wheelchair users, had tried curling with 100% positive feedback. “Ireland is an iceless curling nation. 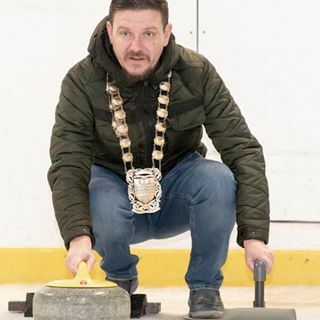 Although the Irish Curling Association won a WCF World Seniors Championship in 2012, they did so without having curling ice anywhere in Ireland. All the ICA members are qualified by birth or parentage to play for Ireland but they all learned to curl elsewhere and there are no members living in Ireland at present – getting a permanent ice rink would change that. Along with the Irish Ice Hockey and Ice Skating bodies, the ICA have been trying to get a permanent rink for many years and we hope that the recent Olympic Celebration Tour has raised the profile of Irish Curling with all the other organisations who can help us achieve a rink. It certainly made a splash on social media. Dublin often has temporary Christmas ice rinks for skating, and the ICA were offered a two-day slot at South Dublin on Ice at Tallaght Stadium. Stones, brushes, hacks and an Ice King were imported from Scotland. WCF provided an Olympic Celebration Tour with Darrell Ell and Olympians Anna Sloan and Michael Goodfellow. 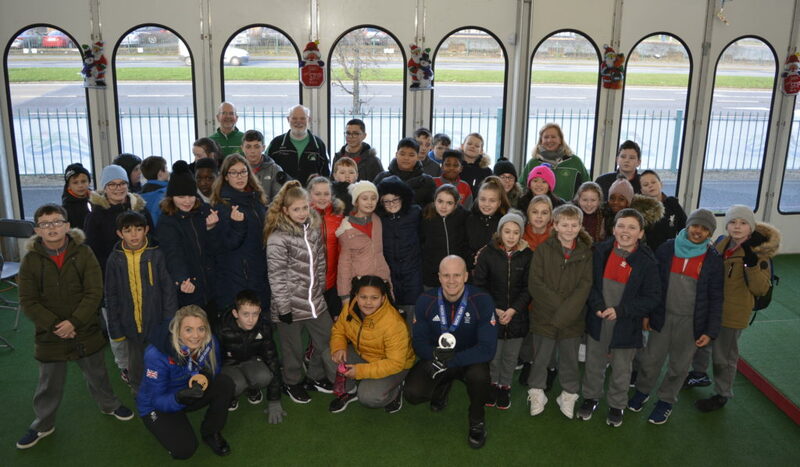 On the Monday and Tuesday there were visits to two Dublin Primary schools (St Kevin’s and St Dominic’s), to Roslyn Park Adult Training Centre and to Dublin High School. 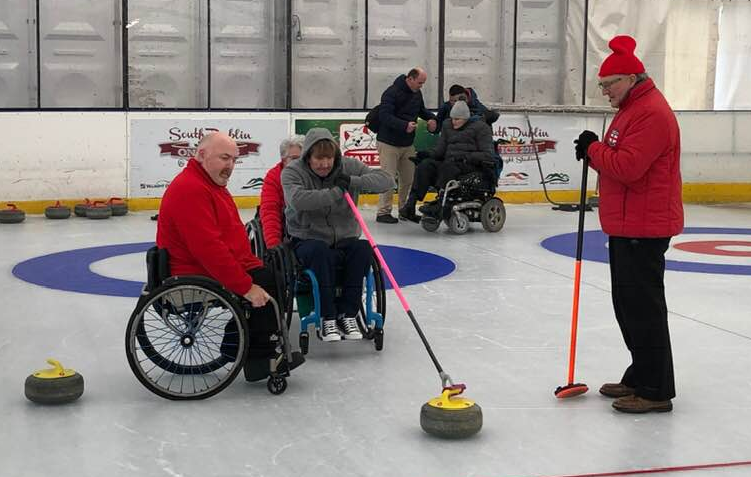 One hundred and forty participants had the chance to try Floor Curling. 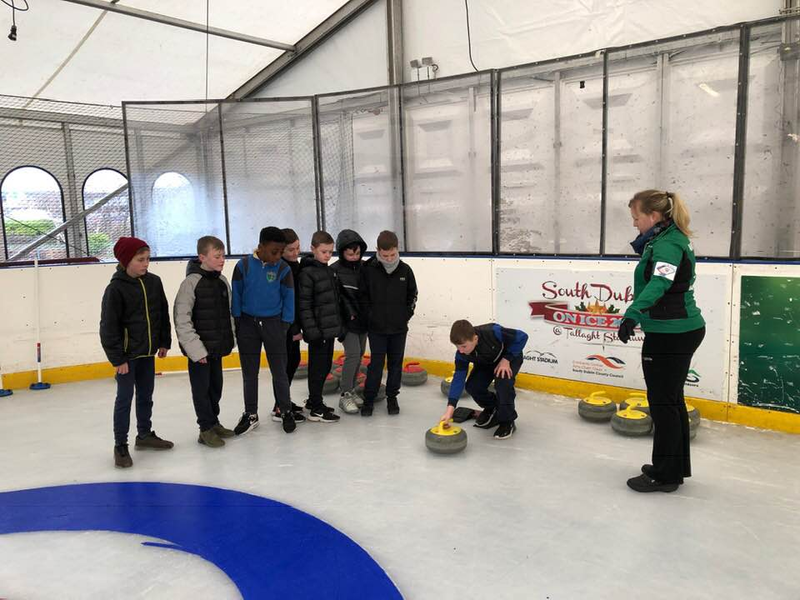 103 more pupils were able to come and experience curling on real ice, and adult Come and Try sessions brought 50 people – some new to the sport, but some Canadian exiles who had travelled 100 miles from Belfast, Wexford and Cork to join in. Other special guests at the closing Come and Try were South Dublin Mayor Mark Ward, Olympic Federation of Ireland CEO Peter Sherrard, and representatives from Sport Ireland, Snowsports Ireland, and the ice skating and ice hockey federations. 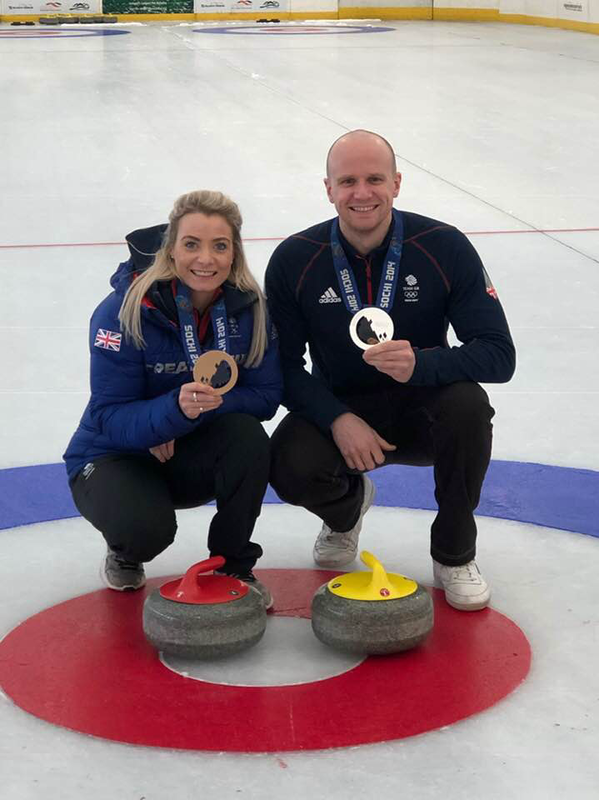 “I absolutely loved the curling event today and the children had a really, really great time. Anna and Michael were superb and I thought they had a really good way with the boys – from the school’s perspective I cannot say how delighted we are when we can put people of such calibre in front of our boys. They will inspire some of them I have no doubt. Now the ICA committee are looking to the future and to use the success of the two days in Dublin to show the city authorities there is an opportunity to develop ice sports in Ireland, starting with a permanent ice rink. ICA President David Whyte commented: “As we catch our breath following a positive week in Dublin the question inevitably is what happens next. “While we were on the radar of our fellow ice and winter sports and the Olympic Federation through engagement over the years, our association with them will have been further strengthened by actually delivering on the ground something that we have really only been able to present in words up to now on the back of events in earlier years. This has helped us engage with further bodies such as Sport Ireland, South Dublin Council and Paralympic Ireland through the wheelchair involvement in the event. The support from WCF through the Olympic Celebration Tour, Board member presence and the provision of equipment and funding was truly outstanding along with a commitment for ongoing involvement with the right project.